October 5 is the 278th day of the year(279th in leap years) in the Gregorian calendar.There are 87 days remaining until the end of the year. Year 610 (DCX) was a common year starting on Thursday of the Julian calendar. The denomination 610 for this year has been used since the early medieval period, when the Anno Domini calendar era became the prevalent method in Europe for naming years. Al-Dhahabi, known also as Ibn al-Dhahabī, a Hanbali Muhaddith and historian of Islam. Phocas was Byzantine Emperor from 602 to 610. The early life of Phocas is largely unknown, but he rose to prominence in 602, as a leader in the revolt against Emperor Maurice. Phocas captured Constantinople and overthrew Maurice on 23 November 602, and declared himself Byzantine Emperor on the same day. Phocas deeply distrusted the elite of Constantinople, and therefore installed his relatives in high military positions, and brutally purged his opponents. Phocas was an incompetent leader, both of the administration and army, and under him the Byzantine Empire was threatened by multiple enemies, with frequent raids in the Balkans from the Avars and Slavs, and a Sassanid invasion of the eastern provinces. Because of Phocas' incompetence and brutality, the Exarch of Carthage, Heraclius the Elder, rebelled against him. Heraclius the Elder's son, Heraclius, succeeded in taking Constantinople on 5 October 610, and executed Phocas on the same day, before declaring himself the Byzantine Emperor. Francis Xavier Seelos, was a German Redemptorist who worked as a missionary in the United States frontier. Towards the end of his life, he went to New Orleans to minister to victims of yellow fever. He then died after contracting the disease. 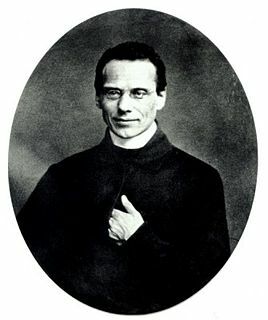 Blessed Bartolo Longo was an Italian lawyer who has been beatified by the Roman Catholic Church. He was a former satanic priest who returned to the Catholic faith and became a third order Dominican, dedicating his life to the Rosary and the Virgin Mary. He was eventually awarded a papal knighthood of the Order of the Holy Sepulchre. Saint Thraseas was a martyr under the reign of Emperor Marcus Aurelius. Prior to his death he served as Bishop of Eumenia, Phrygia, in Asia Minor. World Space Week (WSW) is an annual holiday observed from 4–10 October in various parts of the world, including Europe and Asia. World Space Week is officially defined as "an international celebration of science and technology, and their contribution to the betterment of the human condition." Saint Anna Schäffer was a German woman who lived in Mindelstetten in Bavaria. She was canonized by Pope Benedict XVI on October 21, 2012. Saint Maria Faustyna Kowalska of the Blessed Sacrament, popularly spelled Faustina, was a Polish Roman Catholic nun and mystic. Her apparitions of Jesus Christ inspired the Roman Catholic devotion to the Divine Mercy and earned her the title of "Apostle of Divine Mercy". ↑ Olster, David Michael. The politics of usurpation in the seventh century: rhetoric and revolution in Byzantium (1993 ed.). A.M. Hakkert. p. 133. ↑ Reichhardt, Tony (October 4, 2014). "The First Aerial Combat Victory". Air & Space. Smithsonian Institution. Retrieved October 4, 2018. ↑ "First presidential speech on TV". ↑ "Kevin Magnussen" . Retrieved 9 October 2018. ↑ Reindel, Kurt (1969). Neue Deutsche Biographie (NDB), Band 8. Berlin: Duncker & Humblot. p. 341. ISBN 3-428-00189-3. ↑ Rossoni, Ettore (September 22, 2005). "Giovanni Visconti". I Personaggi storici (in Italian). Melegnano. Archived from the original on 2010-06-12. Retrieved July 26, 2010. ↑ James, C. L. R (1963). The Black Jacobins; Toussaint L'Ouverture and the San Domingo Revolution. New York: Vintage Books. p. 252. ISBN 0394702425. Wikimedia Commons has media related to October 5 .